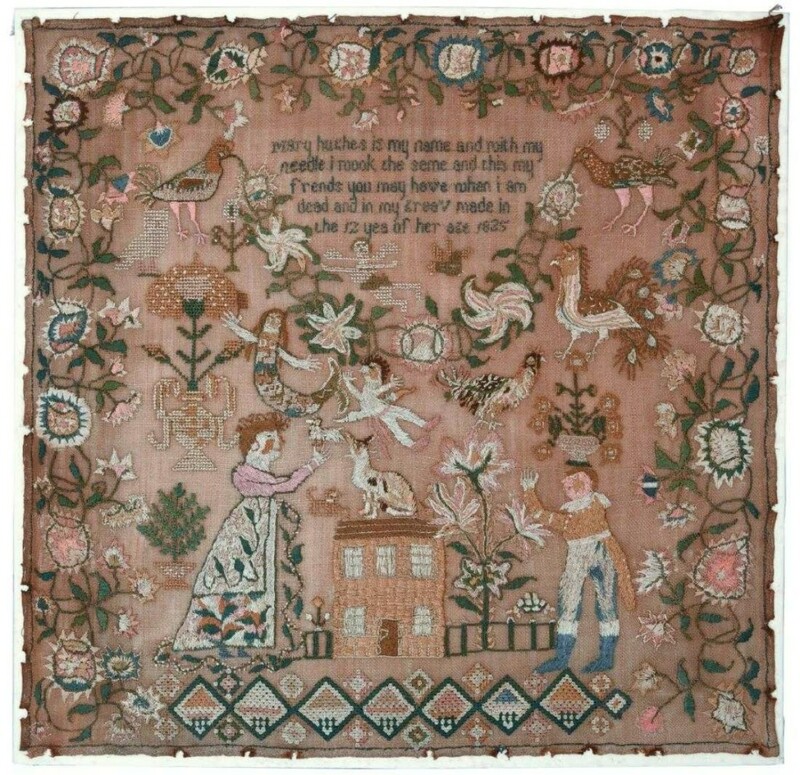 The top lot of the sale was an 1825 sampler stitched by Mary Hughes. It took $20,000. Giampietro said he had six bidders on it, including major sampler dealers, but a retail customer bested them all and took it home. NEW HAVEN, CONN. – “I’m more of a curated auctioneer,” said Fred Giampietro, auctioneer and owner at his newly minted New Haven Auctions, a division of Fred Giampietro Gallery, which held its debut 243-lot sale October 29. Indeed the offerings were selective, boasting a nice selection of Native American material; black and white photography; Americana; and art that spanned fine, outsider and folk. The totality was culled from four estates and a dozen other consignors. “We offered items that I thought would create a synergy of crossover interest,” Giampietro continued. “Jewelry and coins, advertising with folk art and carpets with pottery and baskets.” The house registered more than 900 bidders from 14 countries and came away 98 percent sold. Native American items were led by two lots. 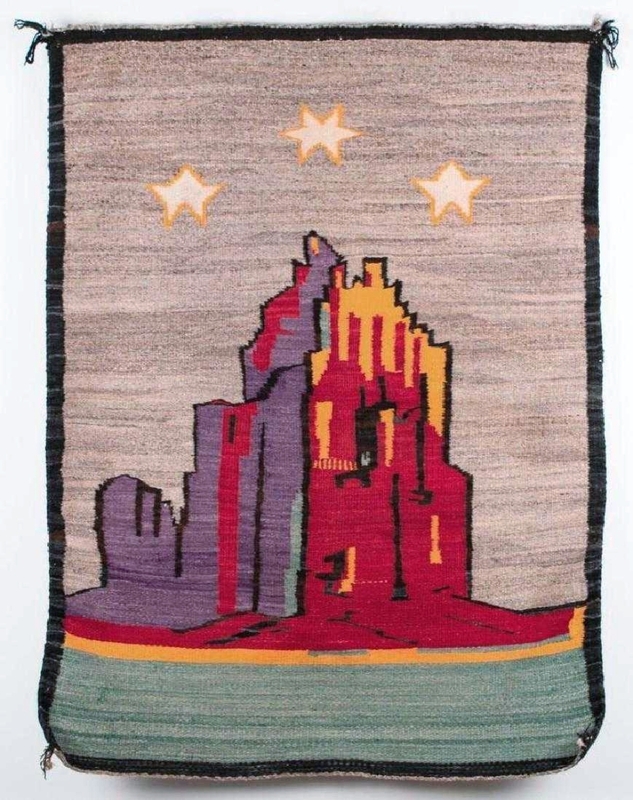 At $6,250 was a Navajo pictorial weaving of Shiprock measuring 47 by 36 inches. Shiprock is a large rock formation in the Four Corners region of New Mexico and is often featured in Native American art, having religious and cultural significance to the Navajo people. “Its sort of an iconic subject that pops up,” said Giempietro. “But this one was really special; it was perfect on both sides and had very unusual colors.” Behind it was a beaded possible bag that brought $5,750. It was likely from the Nineteenth Century with vivid turquoise, red, blue, green and yellow beads. Folk portraits were another draw to the sale. 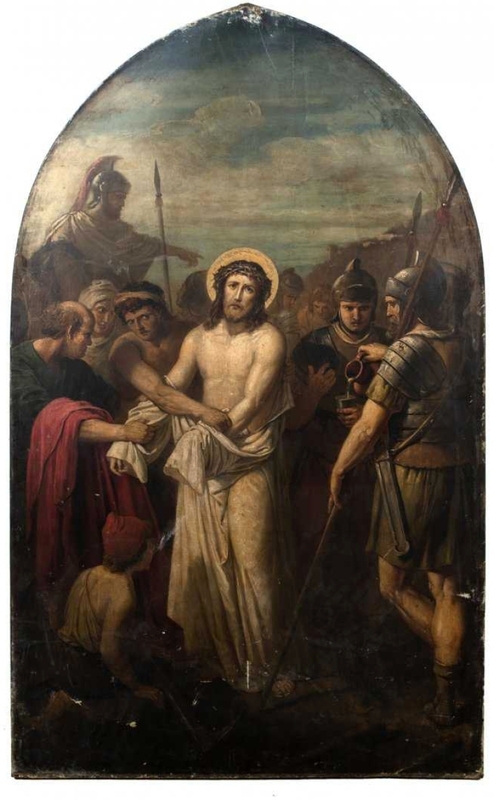 The second highest result at $6,500 came from a work attributed to Sturtevant Hamblin, circa 1840. The 27-by-22-inch oil on canvas featured a child holding a hat and stick with tassel. 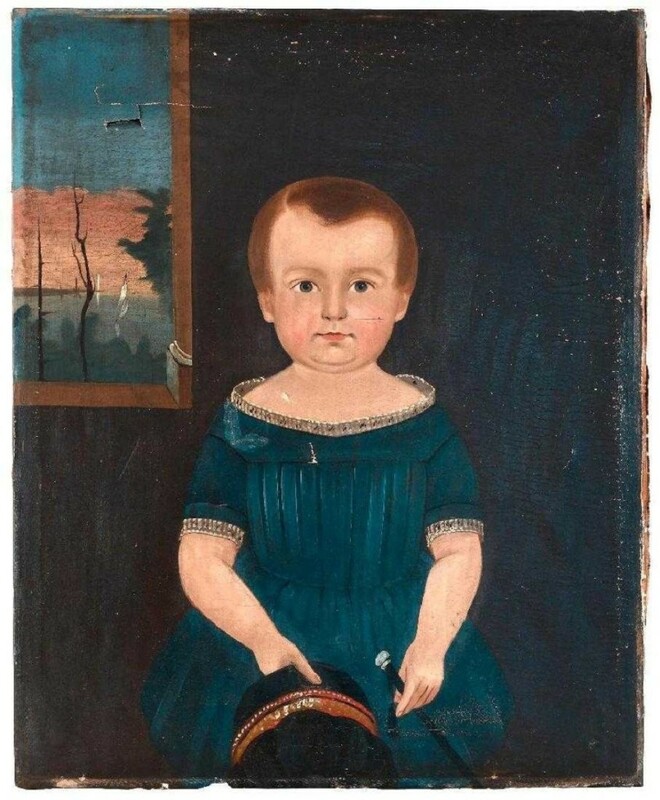 Behind it was a portrait of a young lady, likely by the same artist, that took $4,750. The second highest lot of the sale was a 27-by-22-inch oil on canvas painting attributed to Sturtevant Hamblin and circa 1840. The work sold for $6,500. 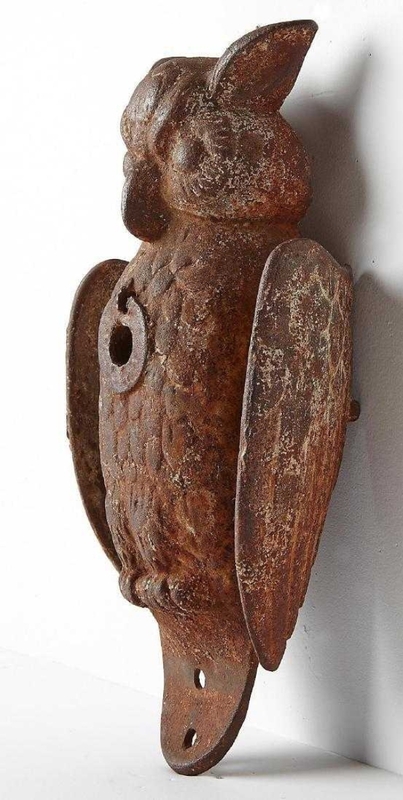 An early Twentieth Century cast-iron mechanical owl shooting target held attention as it reached $5,500. It was probably made by the Kansas firm C.W. Parker. 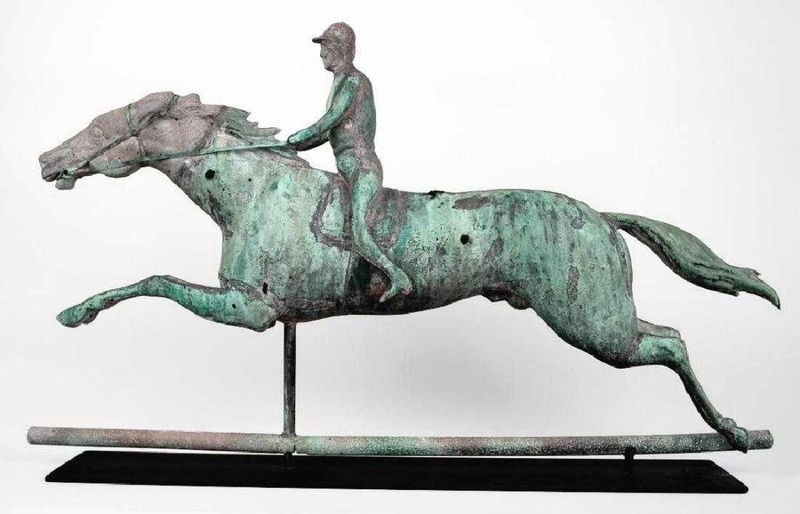 Just under it at $5,375 was a horse and jockey molded copper weathervane from the late Nineteenth Century and attributed to J.W. Fiske. Outsider and southern folk art were both well-represented. “We were fortunate enough to have a number of Jean Jones Jackson works,” Giampietro said. “Some of them approached auction record territory; they don’t come up often. 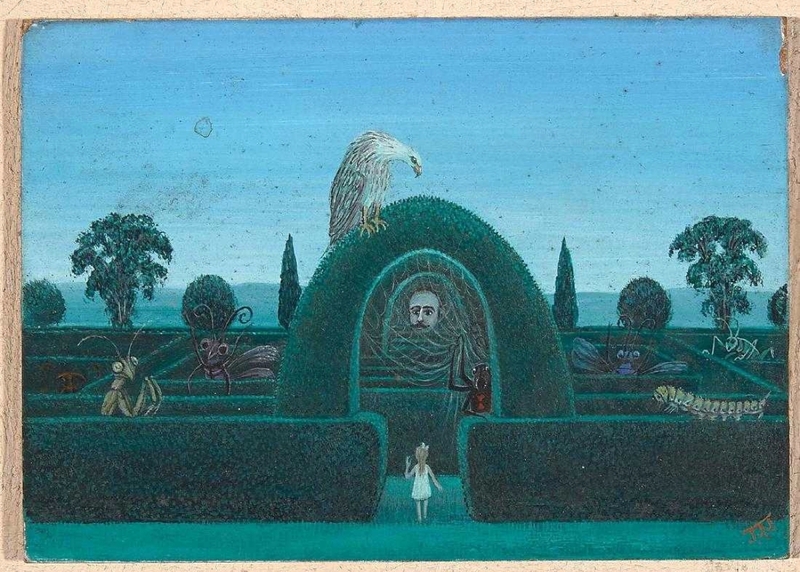 It’s highly coveted work.” Jackson’s top lot was an untitled oil on Masonite fantasy painting depicting a girl at the entrance to a labyrinth with large insects peaking over the top of the hedges awaiting her arrival. It brought $2,000. Black and white photography was represented by Laura Gilpin, Lee Friedlander and Margaret Bourke-White. The category was led by Gilpin with “Navajo Family with Flag-1950,” $3,750, and “Navajo Weaver,” $3,000. Friedlander’s “Memphis,” a 2003 work, brought $2,500, while “Stony Point,” originally shot in 1966 and printed in the 1980s, brought $2,375. Bourke-White’s “Zeppelin” photo of the first Zeppelin in the United States, the USS Akron, took $2,375. A veteran of the trade, Giampietro has been in the business – on the show circuit, with brick and mortar galleries and the online auction realm – for four decades. Giampietro’s new outlet is an evolution of his business model and a response towards the current market. All prices include buyer’s premium, as reported by the auction house. Giampietro’s next auction will be in March 2019. For more information, 475-234-5120. 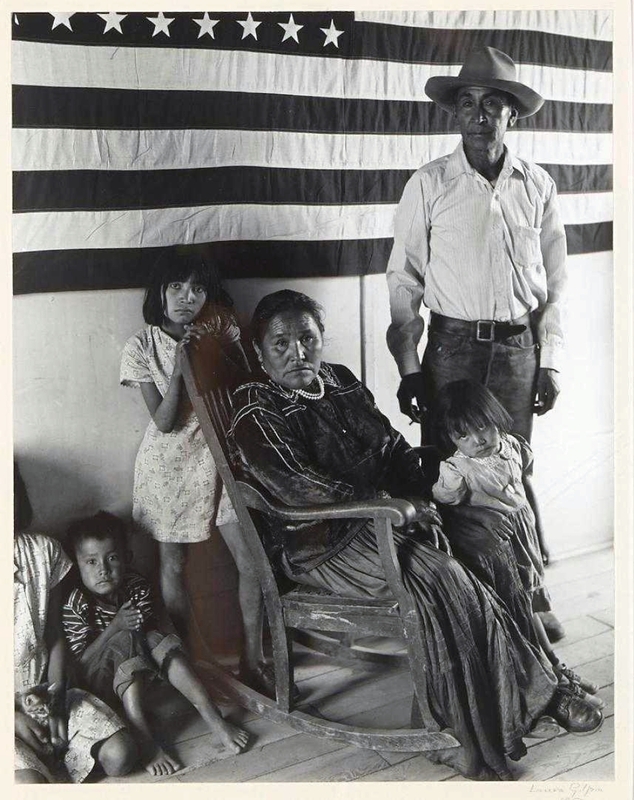 The top photograph from Laura Gilpin was “Navajo Family with Flag-1950,” which sold for $3,750. Three works from the photographer were included in the sale, and all sold above $2,000.